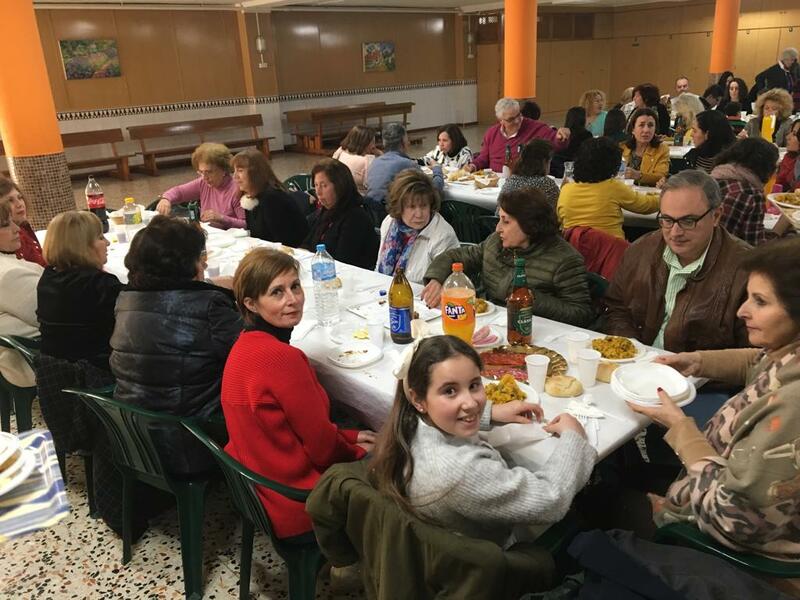 On Saturday 23rd February we had a solidarity meal to benefit the construction of the University Parish of Soa (Cameroon). 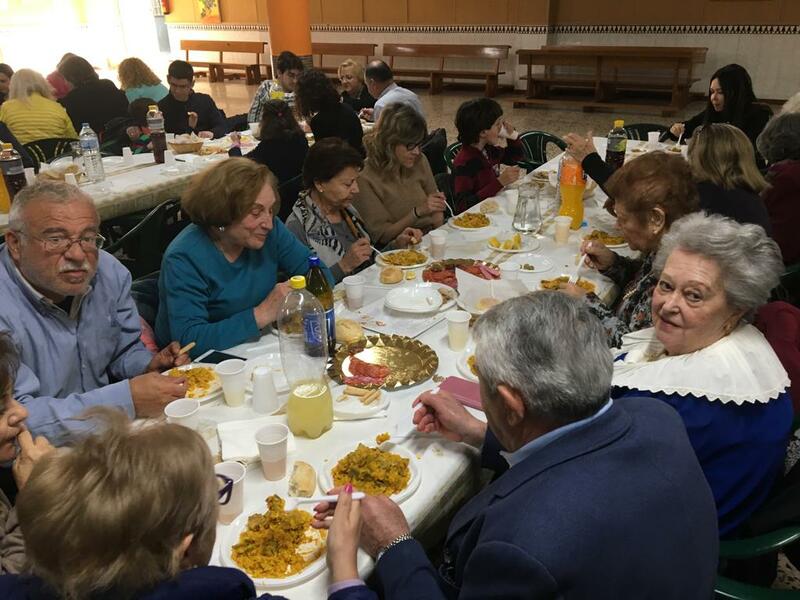 The meal was attended by more than 100 people and others are collaborating in row zero. 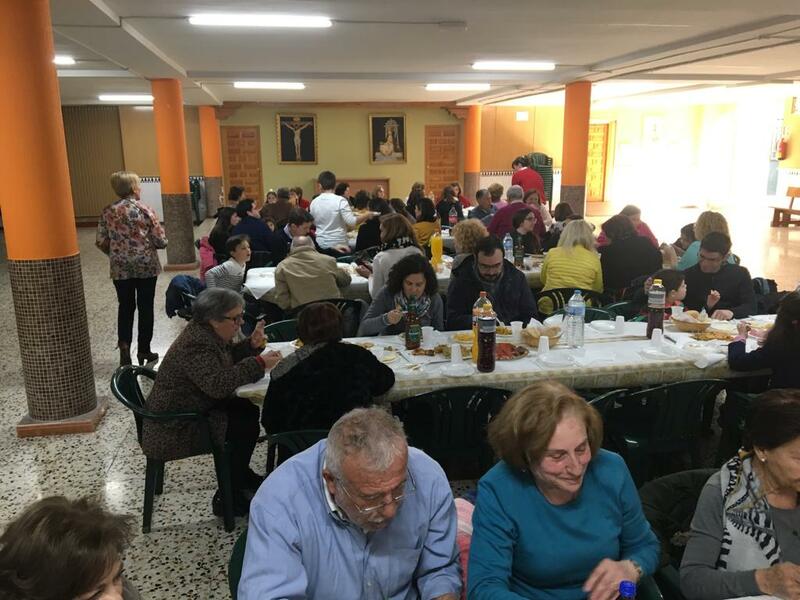 We know that the money raised can barely cover the expenses of a small part of the huge construction work that is undertaken to accommodate thousands of people, but this has been one of the many occasions that our Heavenly Father gives us to build links with people and promote the spread of our charism. 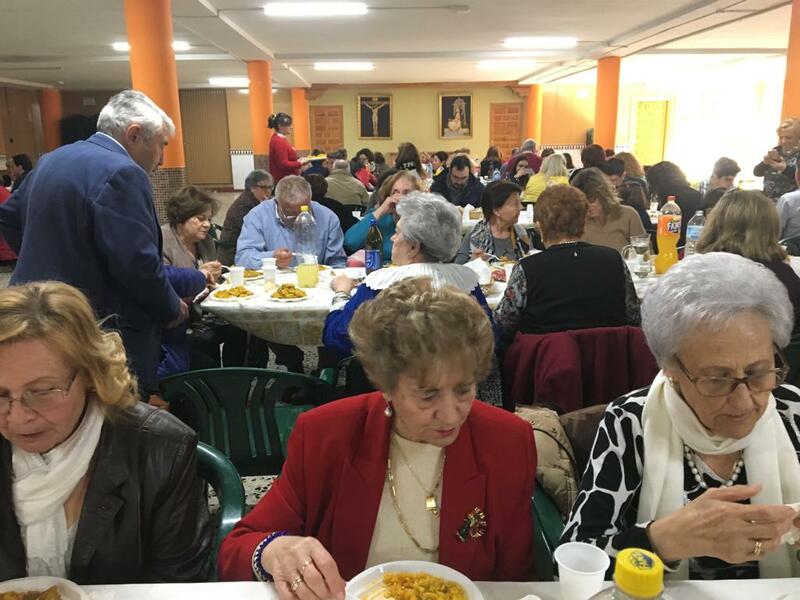 Lunch was held in the parish hall of the Church of San Miguel Arcángel in Granada. 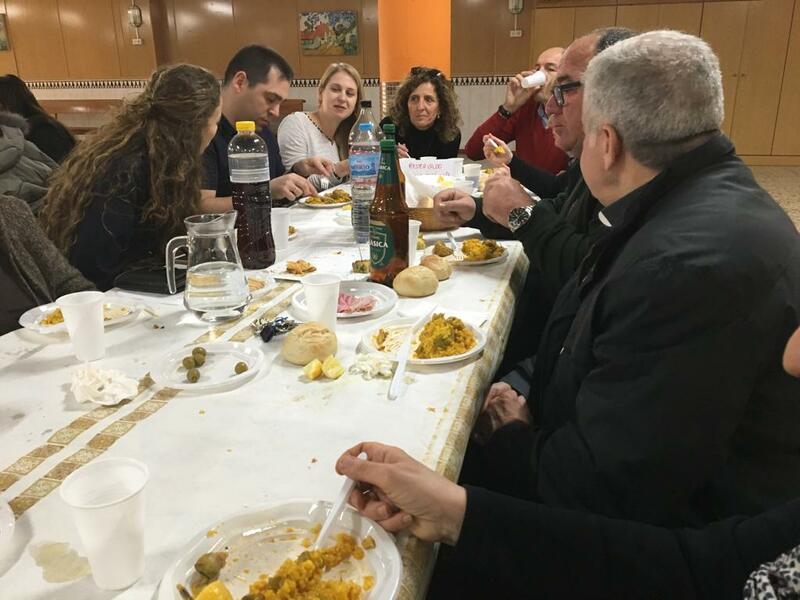 From the first moment the parish priest, D. Juan Martinez, opened the doors for us and made the facilities available to us. 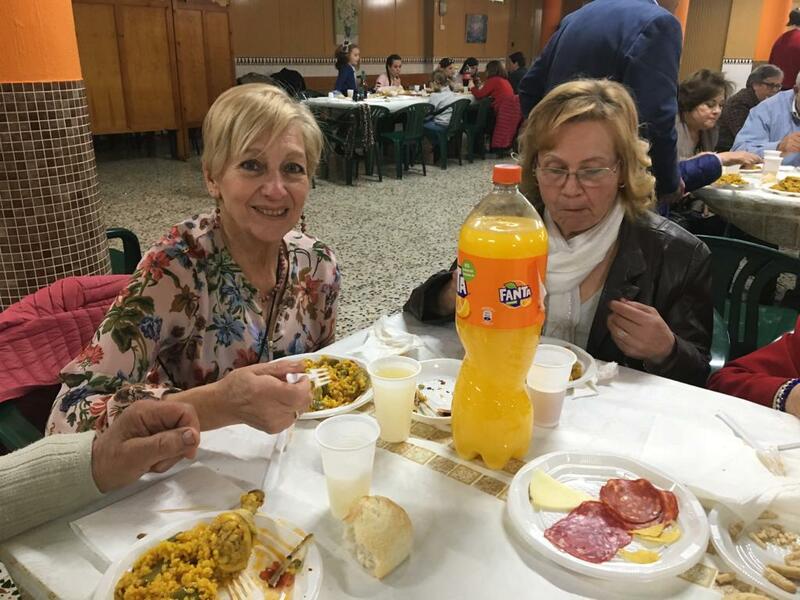 The collaboration did not cease on the part of friends who offered to make the paellas and to bring food, and they even gave us a lamb shoulder to make a raffle. 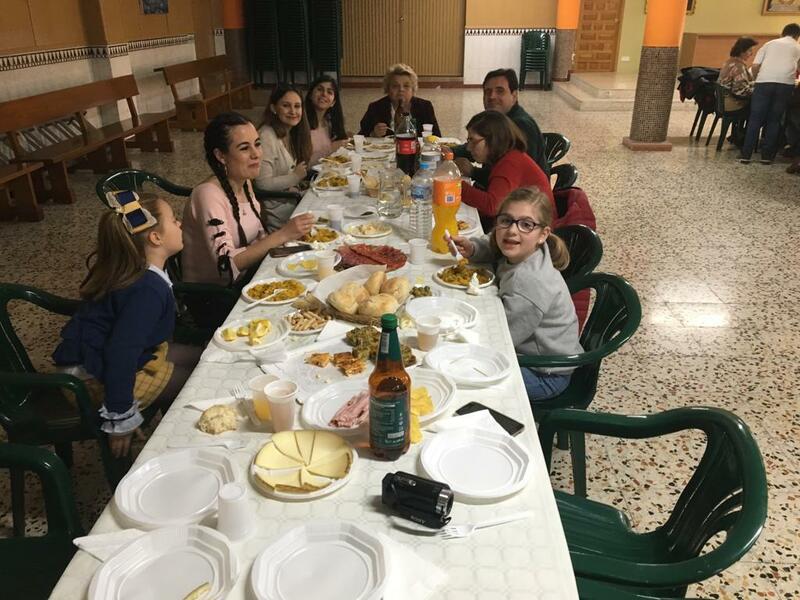 We facilitated the assistance of the families receiving the children free of charge and after the coffee, the young identes took charge of playing with them in the gardens of the Parish. The details of our Heavenly Father never ceased. 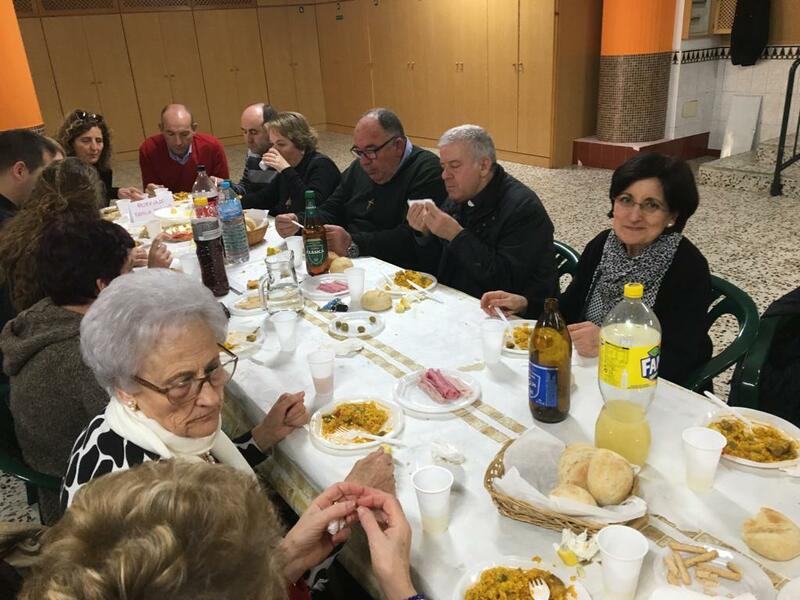 We certainly had to act in faith, because three days earlier only about 50 people had confirmed their attendance and we didn’t know how much food to buy and cook. 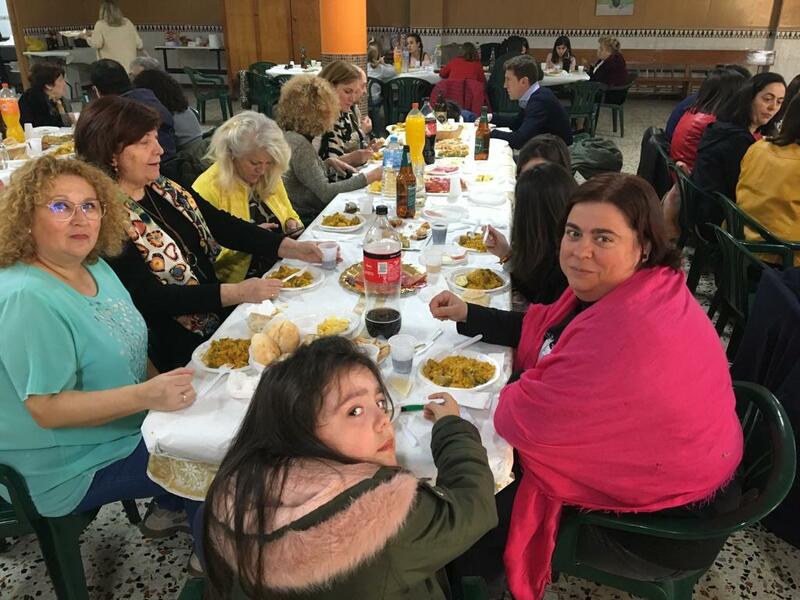 But as in the multiplication of the loaves and fishes, there were left 12 baskets full, more or less, that we distributed at the end of the event. The act began with some words of welcome from the Provincial Superior and the blessing of the Parish priest, D. Juan Martinez, who encouraged us to institutionalize this act annually and at the end of the event, moved by the beautiful climate that was created, manifested to her: This is the Church! During desserts, the Provincial Superior addressed the participants to talk about the mission of Cameroon and our charism, taking advantage of the occasion to invite them to be part of our Idente Family. 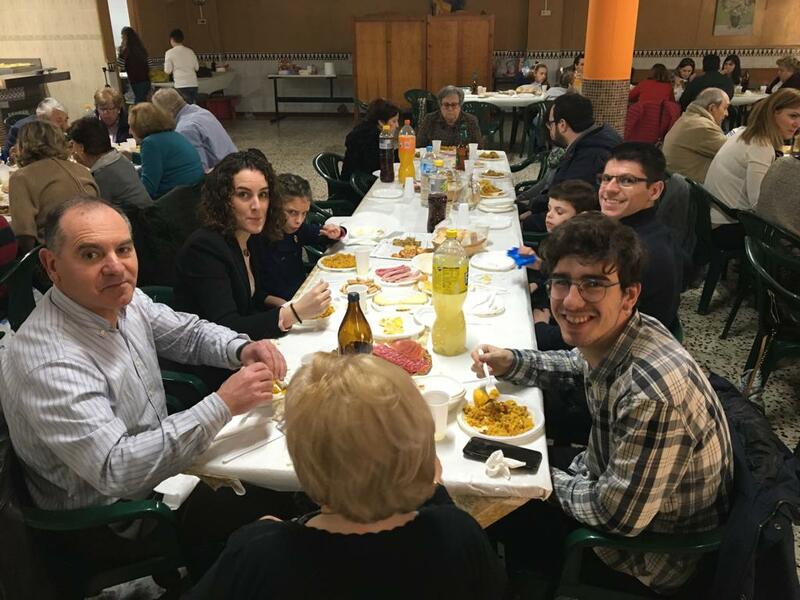 During all the time, adults and children, organized by the missionaries and captained by a charming 10-year-old grandson of our brother José Luis Romera, Territorial Delegate, helped to prepare the food trays, set the tables and serve, waking up a big smile in all the assistants. 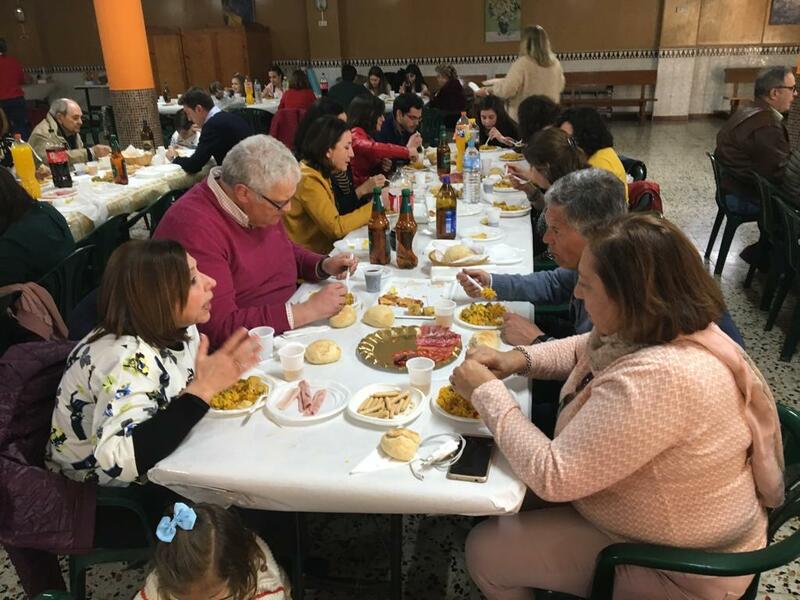 The following means of communication echoed the event: Odisur (Service for the communication of the Bishops of Southern Spain), the website of the Archdiocese of Granada, and the local radio program Iglesia noticia of COPE radio channel.